Lyft has acquired the nation’s largest bike-share company, setting up a situation where its bike trip sales will cannibalize its car trip sales. This is a matter of dispute, that may be cause for legal action. The pessimistic take on the deal is that Lyft’s core business — selling car trips in cities — will put a ceiling on what it will do as a bike-share company. ..
As the author points out, there are many directions the company may take, and, since the future of bike stations is uncertain there is no reason to expand the most controversial bike-share programs that infuriates the public. As one of the North Beach patrons asked when the Central Subway was being presented as an extendable program, “How can you aim a tunnel when you don’t know where it is going to end up?” We need to stop installing bike stations and see what the market does. This matter will be addressed Tuesday at the SFCTA Meeting. around 10 AM in Room 250 at City Hall. You may want to comment on Item 9 on the agenda – Adopt the Emerging Mobility Evaluation Report – ACTION* resolutionenclosure Including TNCs, on-demand, shared, ride-hails, autonomous vehicles, robots and drones – all those vehicles that are cluttering up the road that used to be full of our private vehicles. How many millions or billions of taxpayers dollars have gone into this failed system that was going to rid the city of cars? 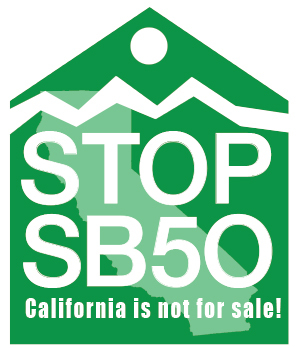 Keep your letters going to the Board of Supervisors on this matter. We need to keep public funds out of the hands of these corporations that have informed us that they intend to take over our streets. Supervisor Cohen needs to hear from you as she is still supporting the Ford GoBikes, that are now the Lyft bikes. We also need to send a message to Supervisor Kim on that matter. NO MORE TAXPAYER FUNDS FOR CORPORATIONS. If they want to help low-income people they can do so with their own money. STOP THE CORPORATE TAKEOVER OF OUR STREETS. Buy an electric scooter for #129 at Best Buy or a Moped for less than $400. Photos of competing shared bike companies that are cluttering our streets with too many rental options be fore the latest invasion of the electric toys that are cluttering our sidewalks. photo by zrants. Mayoral candidate London Breed, the sole endorsee of the Yes in My Backyard group, seems to have gone full NIMBY. Maybe bike station removals should be London Breed’s theme. Instead of promising a chicken in every pot, she can offer a fast path to bike station removal on your block if she is elected Mayor. That is almost as good as Angela Alioto’s promise to remove the Department Heads. Of course the easiest course of action is to stop installing the stations now.